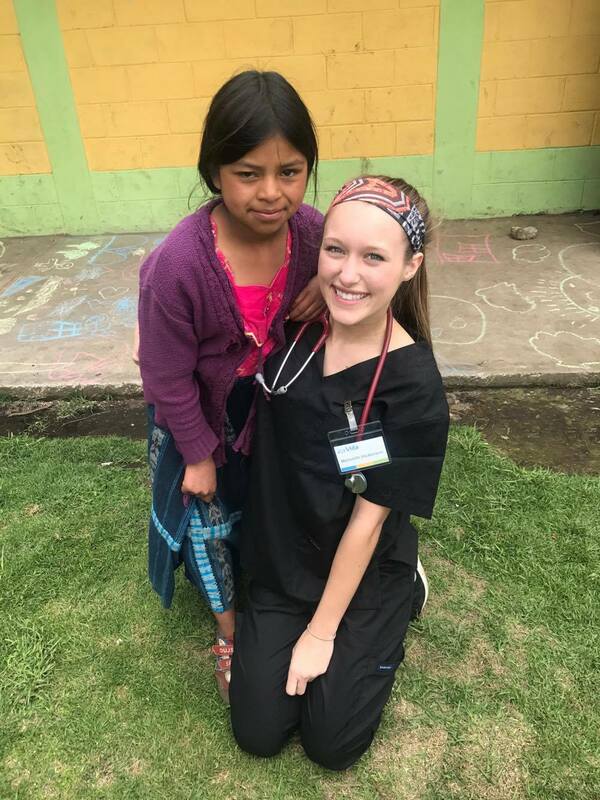 Every summer, Chi Omega takes action with the VIDA Volunteer program to help provide medical aid and services to various communities in the country of Guatemala. Chi Omegas have served as the campus coordinators for The University of Iowa for the past few years to encourage other Hawkeyes to join the trip as well. Madeline Lawrence, one of the coordinators for the summer 2017 trip, told us some more information on the program. "Vida Volunteer is a nonprofit organization that takes groups of students interested in health related careers to Central America for service learning clinics," she said. "There, we set up clinics in areas that do not have access to regular health care. The volunteers work with and learn from the doctors. It is a very hands on experience. We also are able to learn a lot about the culture while we are there as well!" Each Chi O that takes part in this trip comes away with life-changing stories and the desire to promote volunteering at home and abroad as much as they can. Chi Omega seeks to spread our light into the lives of others - no matter the borders. Here is what a few of our sisters had to say about their time in Guatemala. "Nothing in my life has come even close to impacting me as deeply as these 2 weeks did. There is no way to describe the complete change my heart went through from the conversations I had, the things I saw, and the experiences I made. Never have I ever met such amazing men and women who are so overwhelmingly kind and grateful for everything that they have, even though they have next to nothing. Never have I ever had an opportunity feel so rewarding than to see a women breakdown in tears over receiving a months worth of medication, free of charge. Never have I ever received a sweeter hug than from a child who was just showered with chalk, stickers, and bubbles as though it was Christmas morning. This trip completely changed my life, and will continue to impact me forever. My heart is now dedicated to serving others, and I cannot wait for the years to come with Vida Volunteer. Thank you for the best 2 weeks of my life." 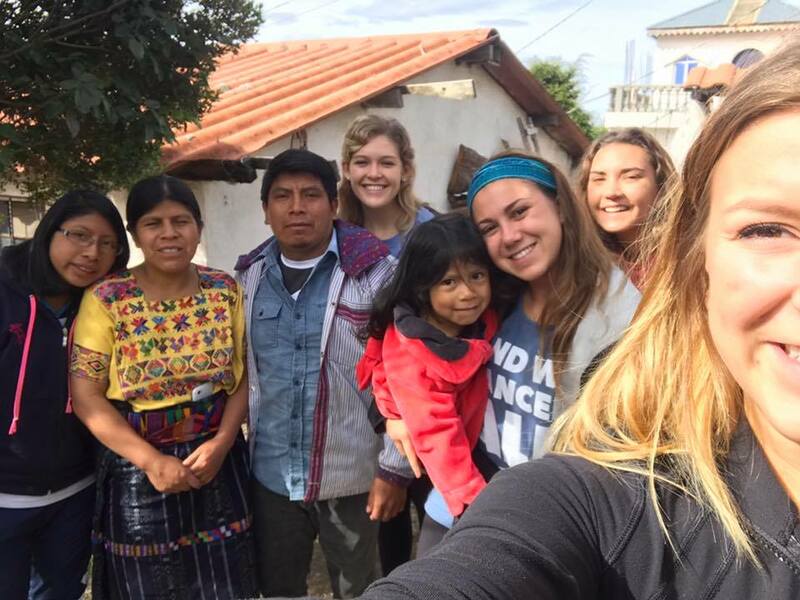 "Traveling to Guatemala opened my eyes in so many different ways. Being able to serve multiple communities and hundreds of people is a wonderful feeling. Not only did I come across the kindest people, but I got to learn so much about Guatemalan culture as well through a home-stay. That home-stay is something I will always remember. It showed me that you don't need luxurious items to live and be happy. The family I got the honor to stay with took me in like one of their own children and showed me their way of life. Guatemala was an experience of a lifetime and it truly taught me above and beyond what my expectations were." "Vida Volunteer has given me the courage and knowledge to not only grow in my medical skills, but to also grow as a person. The lives I have touched and memories I have made will last me a lifetime. Not only did I have the amazing opportunity to learn from experience and test my medical skill; but I also learned to look with compassion, speak with courage, and to be grateful for the life I live. I was able to experience new cultures and see the joy in simplicity. Thank you Vida Volunteer for opening my eyes and taking me on this wild, life changing adventure. These past two years will stick with me forever."